Tobacco smoke contains over 70 known cancer-causing chemicals. Many of these chemicals come from burning tobacco leaf. Some of these compounds are chemically active and trigger profound and damaging changes in the body. Smoking harms nearly every organ in the body, causing many diseases and reducing health in general. The cost of smoking cigarettes is not only a daily financial cost, but it can also lead to higher costs for health care and life insurance due to smoking-related diseases, and also exposes your loved ones to the harmful chemicals in cigarette smoke, that have negative impacts on their health too. 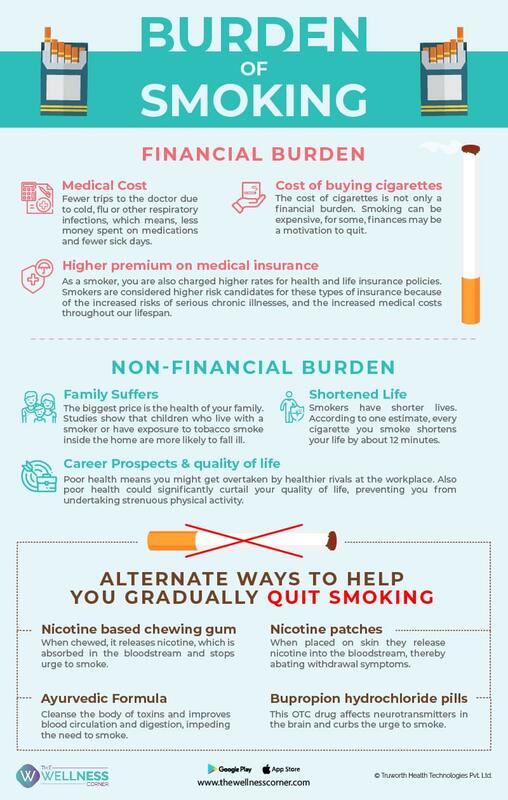 Let's know more about the financial and non-financial burdens of smoking and how you can gradually start to quit smoking.